Lounge it out in our Beige Bardot Knitted Jumper & Leggings Set. This cute co-ord is super comfy and will become your go to outfit on lazy weekends. 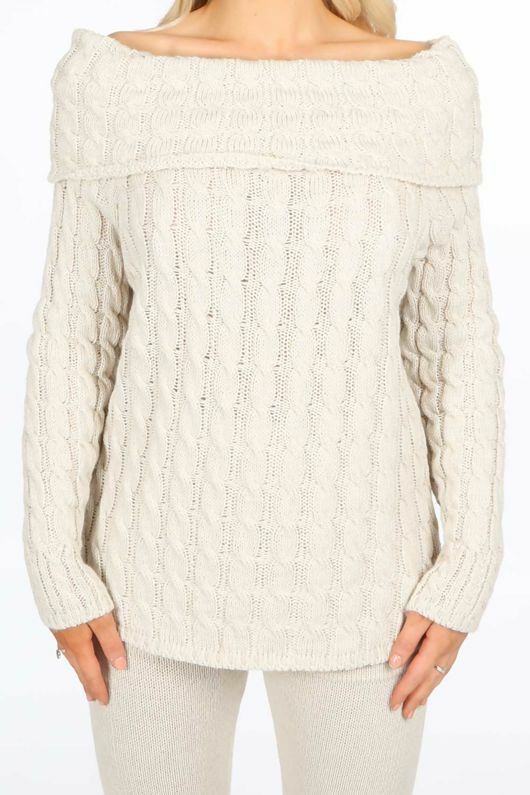 Sold as a set, the jumper is made from a cable knit with long sleeves and an off the shoulder design and the soft knit leggings are a slim fit. Just add a pair of trainers to your look and you're good to go.